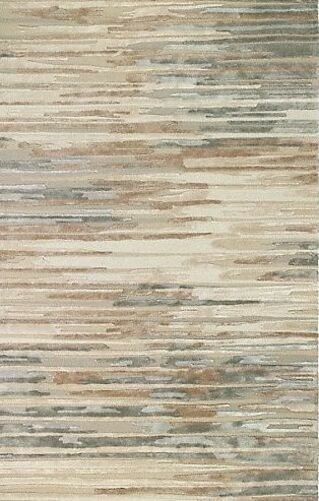 Inspired by its tactile layers and platinum colors, this rug truly captures the majesty of the birch tree. In a palette of champagne, driftwood and silver, the streaked pattern and high-to-low texture imparts a wonderfully organic look. 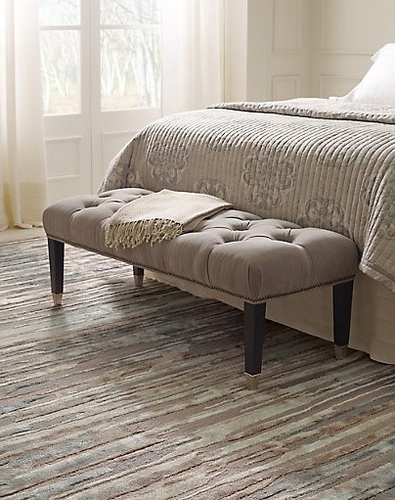 Viscose yarn adds a pearl-like shimmer to this woodland wonder. Wool/viscose blend.